Hello, hello! Welcome to this month’s blog hop! I am so excited to share with you ten beautiful table setting ideas from my fellow bloggers! Be sure to stop by their blogs to take a closer look, get details, and, of course, to pin for later! 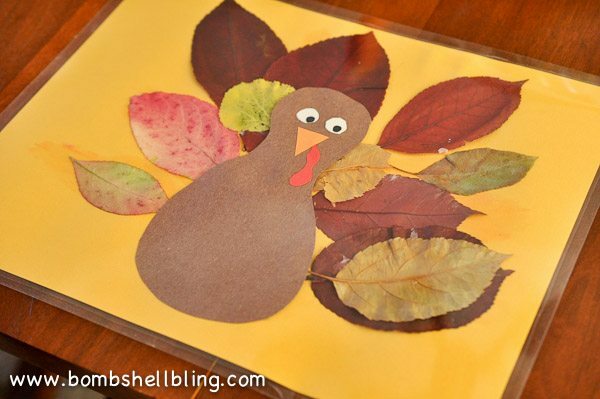 But, first things first: let’s check out the silly turkey leaf placemats that my little man and I made together! I have been LOVING fall here in Colorado. It’s my favorite season! The kids and I have been taking walks fairly regularly to check out the leaves, and they never disappoint. 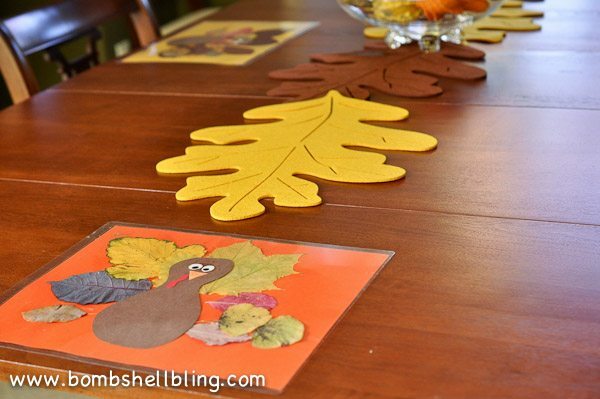 When I had the idea for these turkey leaf placemats I knew my son would LOVE them. We made four of them for the “kid table” at Thanksgiving. We both love how they turned out! Let me show you how simple they were to make! 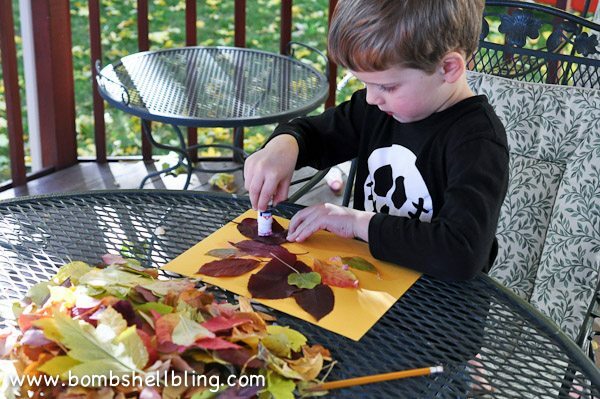 Begin by going on a walk to gather a variety of interesting, beautiful leaves. 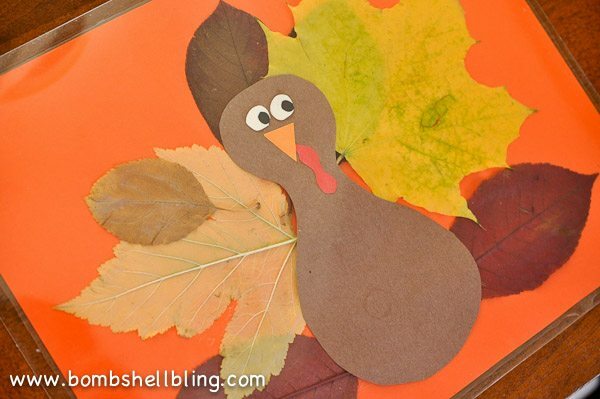 Then take a piece of paper and do a rough sketch of a turkey body so your little person will know where to glue the leaves. It’s gluing time! Let your child have at it! They could use a glue stick or Elmer’s glue. 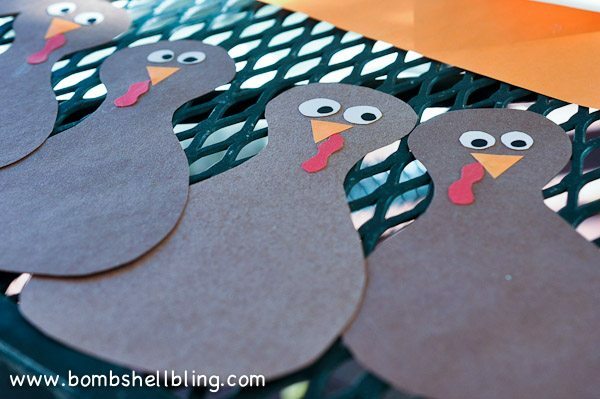 While your kiddo is gluing leaves you can prepare the turkeys. I simply cut a pear-ish shaped brown turkey body and then cut out eyes, a beak, and a wobble and pasted them together. Pretty self explanatory. Time to glue the turkey bodies on top of the leaf feathers! Too cute!!! Now, you will want to preserve these, so get ready to laminate. 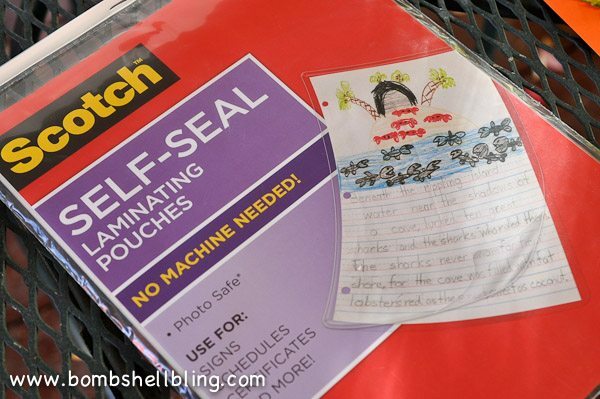 You can either laminate them, use good old fashioned Contact Paper, or you can use these nifty pouches that I spotted at Walmart. A little pricey, but CRAZY simple. Too fun! I can’t wait to use them on Thanksgiving! Now it’s time to do some blog hopping! I am amazed by these talented women! Their ideas ROCK!!! 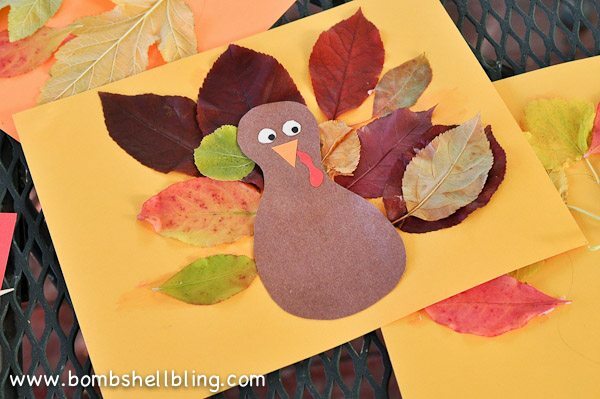 What a cute and smart idea using fall leaves for feathers! 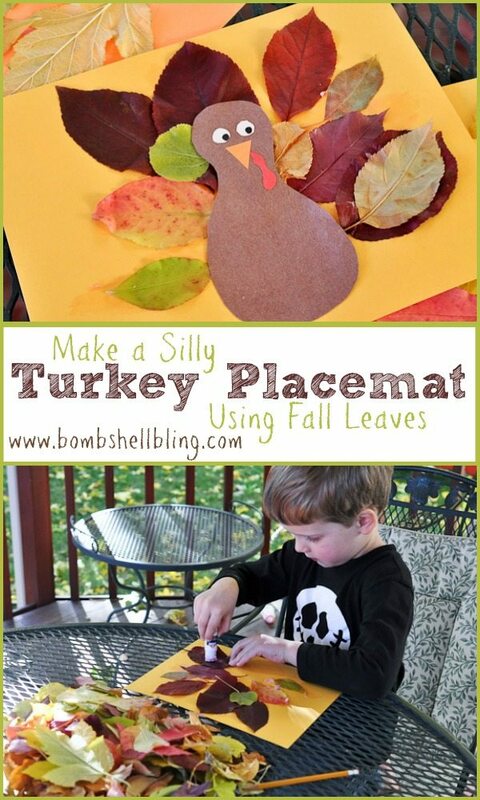 This is such a great idea, as soon as our leaves start to turn colors we are going to do this! 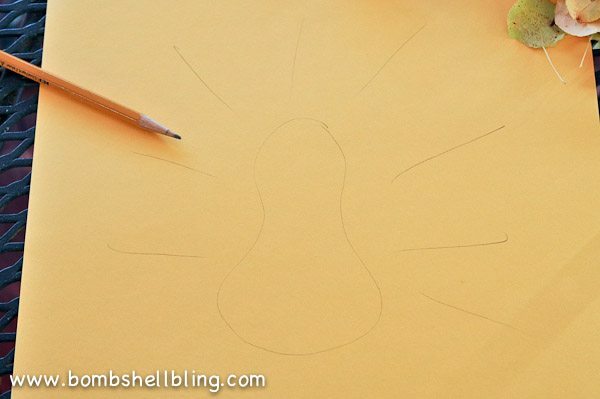 What a wonderful, beautiful, simple idea for a great homeschool Thanksgiving project. I think I will have to work it into my homeschool schedule this next week. Thanks for sharing something so fun, easy & inexpensive. These placemats are so cute! I want to make some with my kids. We have a tree with perfect leaves for it in our front yard. Thanks for joining the Family Joy Link Party!